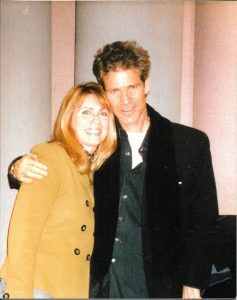 Chicago based recording artist Lisa Lauren earned both national and international attention upon the independent release of her first CD, “what comes around”, a unique mix of originals and Baby Boomer classics. 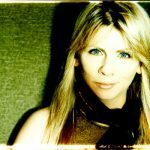 Lisa naively sent out the CD to dozens of radio stations around the country and after unanimous acclaim, started generating airplay on hundreds of contemporary jazz and pop stations across the U.S., Europe and Australia, unheard of for an independent artist at the time. Miramar Records soon picked up the record for re-release. 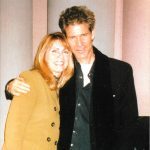 It was her dip into the Beatles catalog that garnered the most attention, especially with the guest appearances of Grammy award-winning superstar saxophonist David Sanborn. Soon her re-imaginations were featured on Fab-Four-focused programs like “Breakfast With the Beatles” on WXRT and WCKG in Chicago and other Beatles shows around the country. Since then she has continued to garner rave reviews for all of her follow-up CD’s, which now total four (not including her Christmas single, “Christmas Wish” and the original single “Reality Checking In”) and her songs are featured on numerous compilations in Germany, Japan, Singapore and the Philippines. 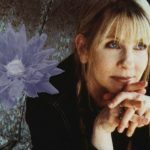 In addition to David Sanborn, her recordings feature an impressive list of high-profile Chicago musicians such as Steve Rodby (Pat Metheny), Fareed Haque, Neal Alger, Jim Gailloreto and Howard Levy in addition to Milwaukee’s Willy Porter, Vermont’s Gregory Douglass and L.A. session guitarist George Doering (James Taylor). Lisa’s music can be heard on Play Network (Starbucks), Pandora, Spotify and her version of “Love Me Do” featuring Willy Porter is currently featured on Sirius Radio’s Coffeehouse. Having played piano since she was 3, Lisa gave up lessons with Sister John Mark as a teen, but continued to play and hone her own sound. She majored in music in college – specifically voice and choral music education – and also played leading roles in many musical theatre productions, namely as Maria in “West Side Story” where she tried (unsuccessfully) to hide her European ancestry by spraying her hair black. After a few grueling years teaching high school music, she started playing solo piano gigs in downtown Chicago hotels and eventually graduated to playing with acoustic bass and other solo instruments when she landed a coveted gig at Cricket’s in the Tremont Hotel. After that she brought her trio to the chic Gold Star Sardine Bar for a year-long Monday night slot, until she added one too many Beatles songs to her repertoire and was let go to make room for someone with more decidedly jazz purist tendencies. But it was these experiences – both positive and not so positive – that finally brought her into the studio. She made the decision to use as many different instruments as possible to create unique new arrangements – alto flute, accordion, pedal steel guitar, soprano, alto and tenor saxophone, harmonica, mandolin, cello, acoustic and electric guitar, and viola – which gave each song a new flavor. She and her band have played at many of the Chicago clubs such as Schuba’s, Martyr’s, Davenport’s, Beat Kitchen, the Metropole and Katerina’s, and look forward to playing S.P.A.C.E. in Evanston in May of 2019.